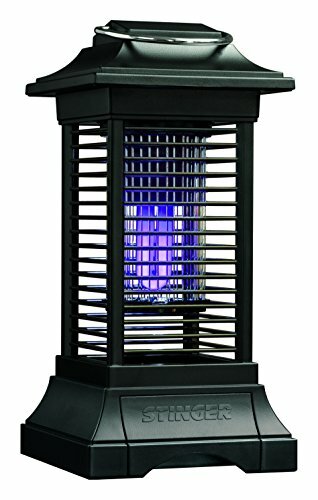 BKC90 Features: -Insect zapper.-Perfect for patios, decks and camping spaces.-Cordless and rechargeable.-Provides decorative lantern design to complement outdoor decor.-15.08" H x 7.99" W x 7.99" D, 3.18 lbs. Includes: -Includes UV light and octenol lure to attract and kill mosquitoes and other flying insects. Specifications: -Quiet operation and coverage up to 625 sq. ft. with 3.2 hours run time. For best results, hang or position the zapper between the source of insects (yard, woods) and the area to be protected, but no more than 10-14 ft. from human activity.